WWE’s partnership with Fox Sports continues to grow. SmackDown moves from USA to broadcast Fox this October, filling in some much needed network programming for Fox in the wake of the Disney sale. 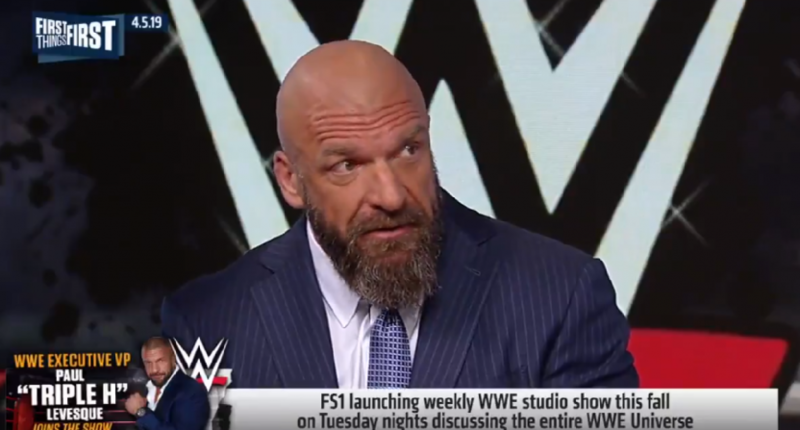 Given the prominent slot for SmackDown on Fox, some shoulder programming made sense, and today on First Things First WWE executive Paul “Triple H” Levesque announced the launch of a weekly studio show on Fox Sports 1, which will debut this fall. As for potential show formats, that might depend on how they want to handle kayfabe. If they analyze it like the best wrestling writers do (chief among them, the aforementioned Brandon Stroud), it’ll be to treat it as a weekly dramatic show, breaking down storylines and characters while also discussing the performances in the ring. Obviously, given WWE’s involvement they’re not going to be as critical when things don’t work, and they might have to wink a bit more at the scripted nature of things. It may end up being something that mixes sports talk and debate with a reality television aftershow, all focused on the various WWE brands and developments. Either way, it’s another big mainstream move for WWE, and it’s another way for Fox to capitalize on their investment.